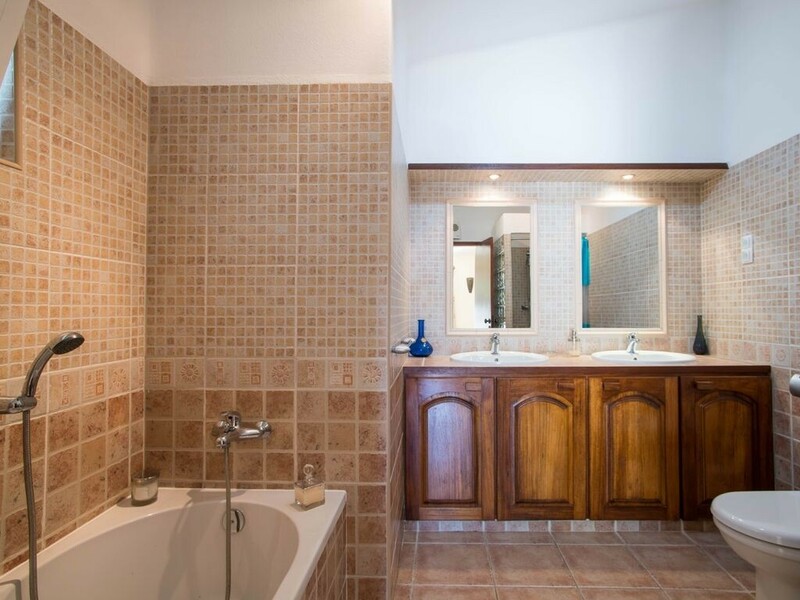 Luxury Villa situated in the popular Vale de Milho area of Carvoiero, within walking distance of beaches and town. 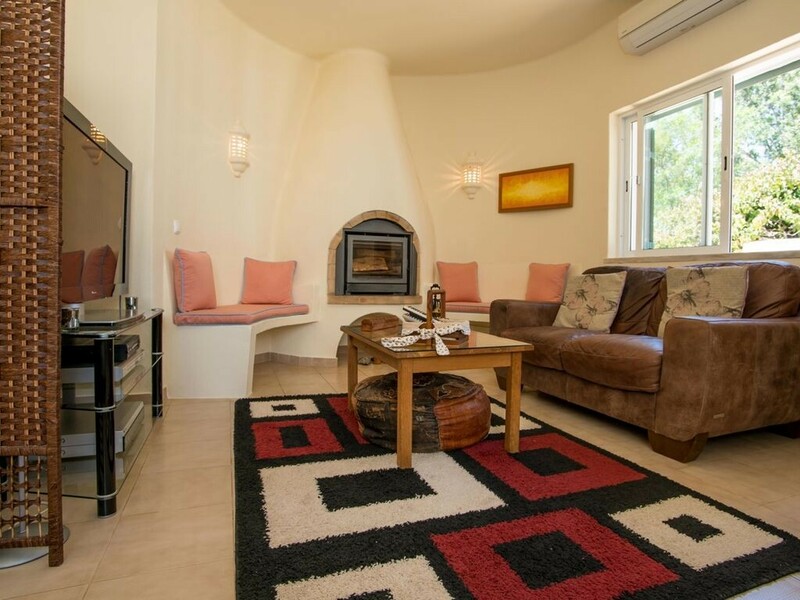 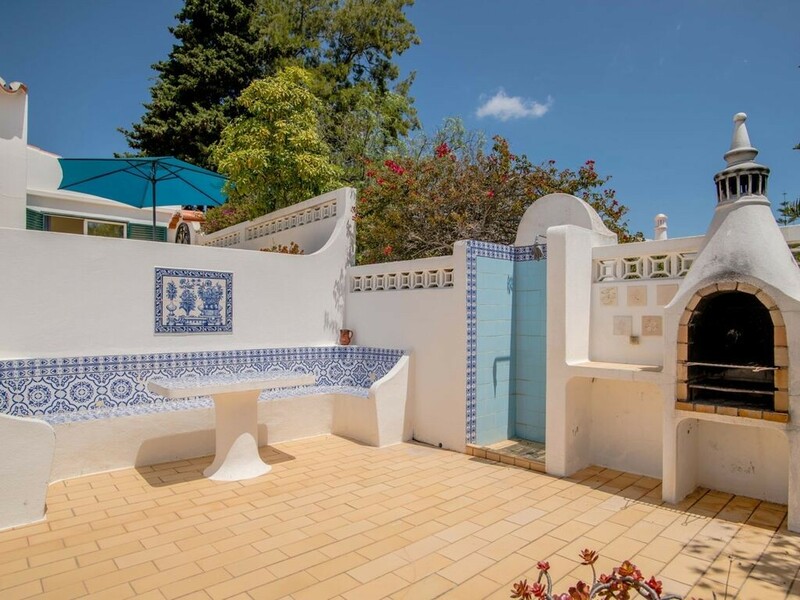 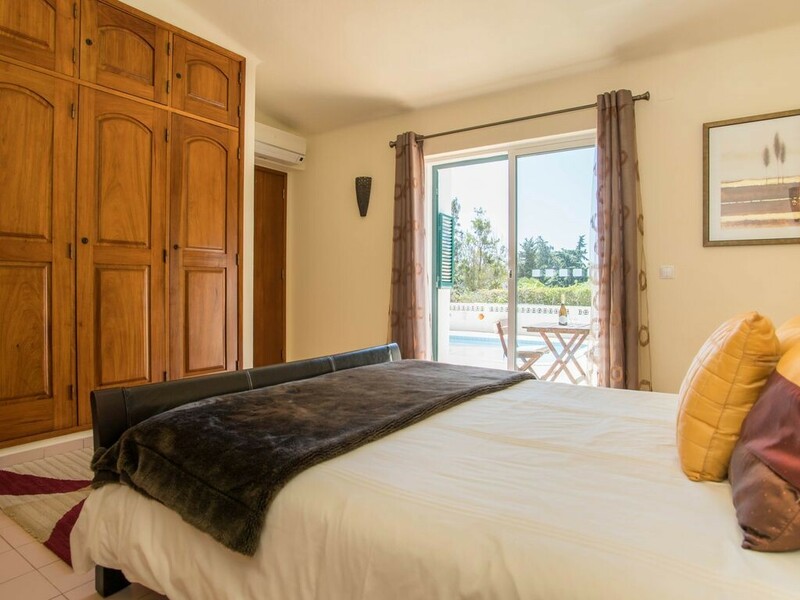 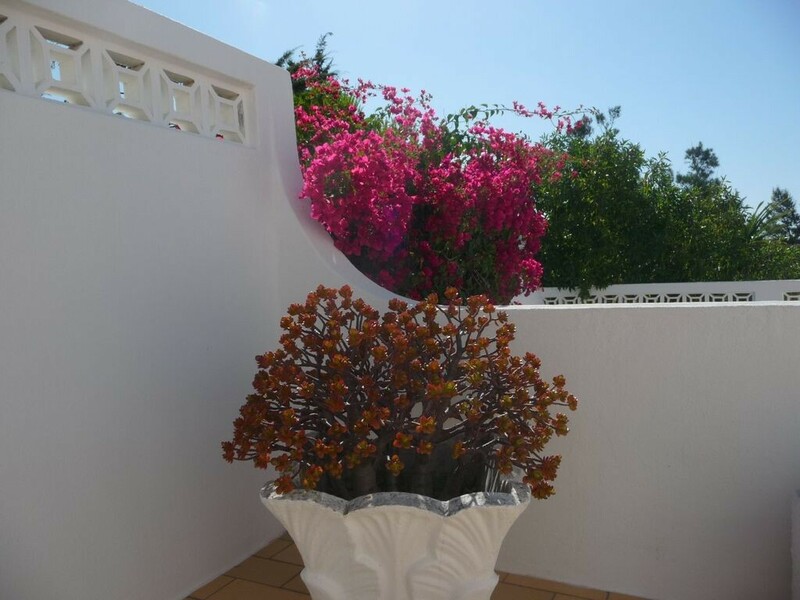 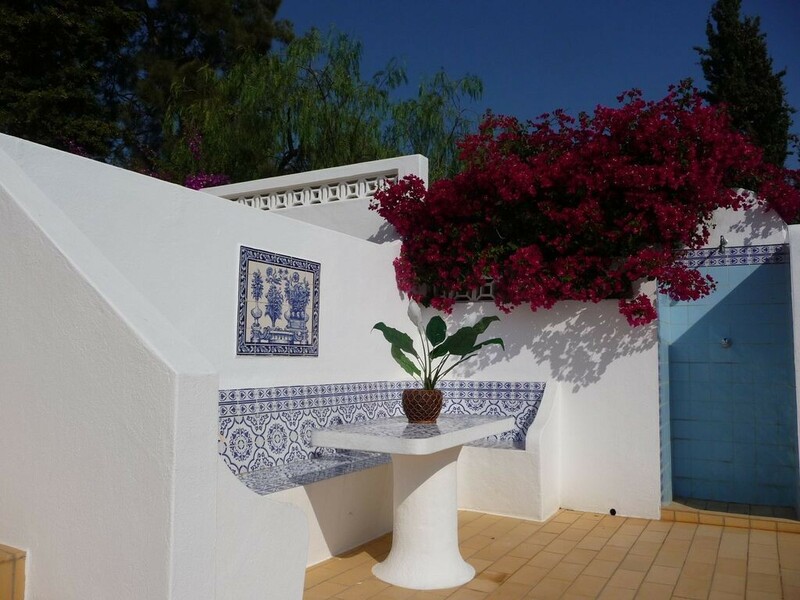 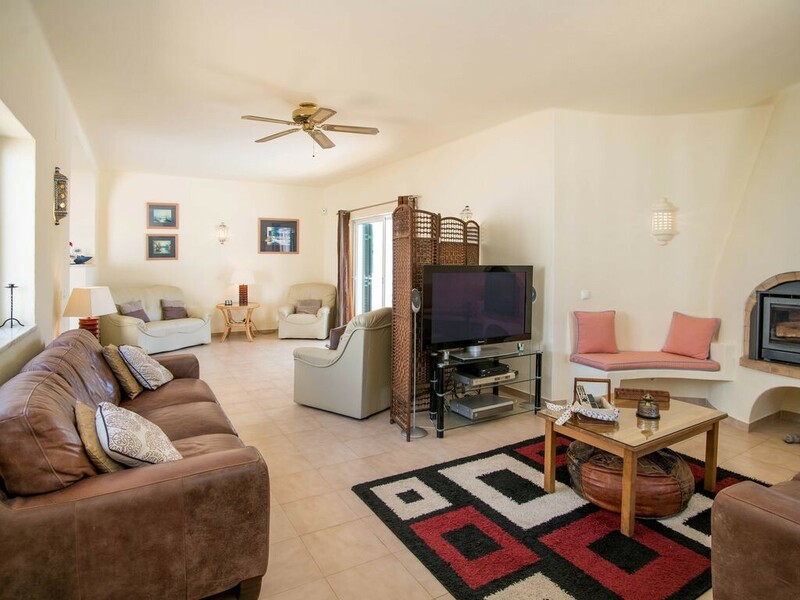 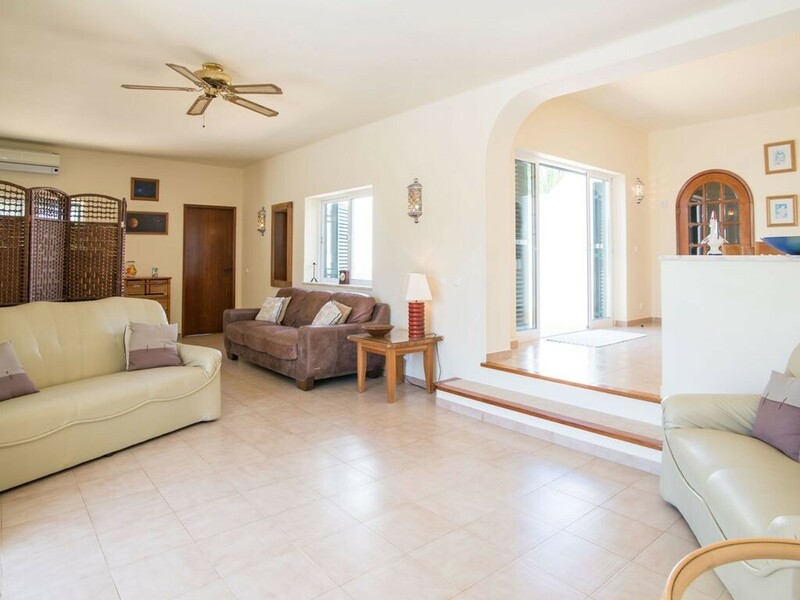 The Villa has a large private heated pool (10m x 5m) with sunny terraces accessed from all 3 bedrooms and lounge, surrounded by beautiful gardens. 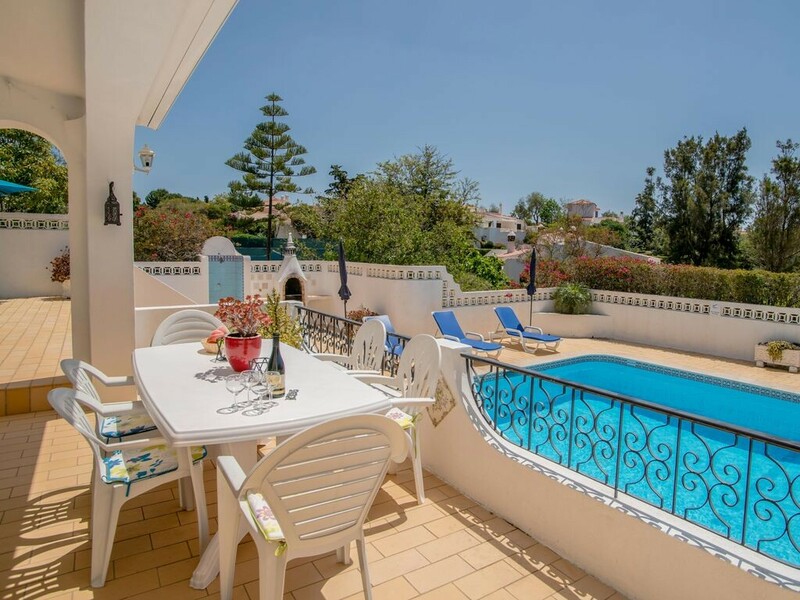 Ocean views from all levels. 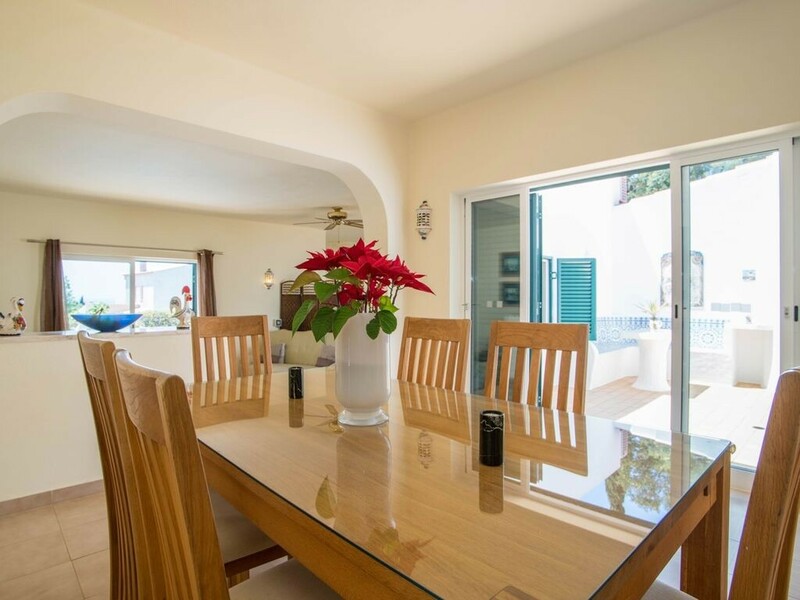 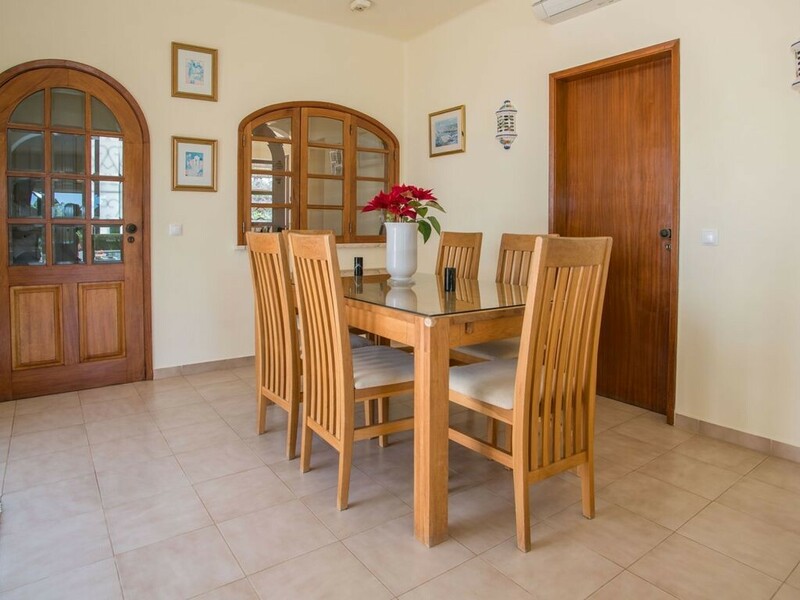 If you are going to spend your vacation in Carvoeiro with your family or friends then this holiday villa is the perfect choice. 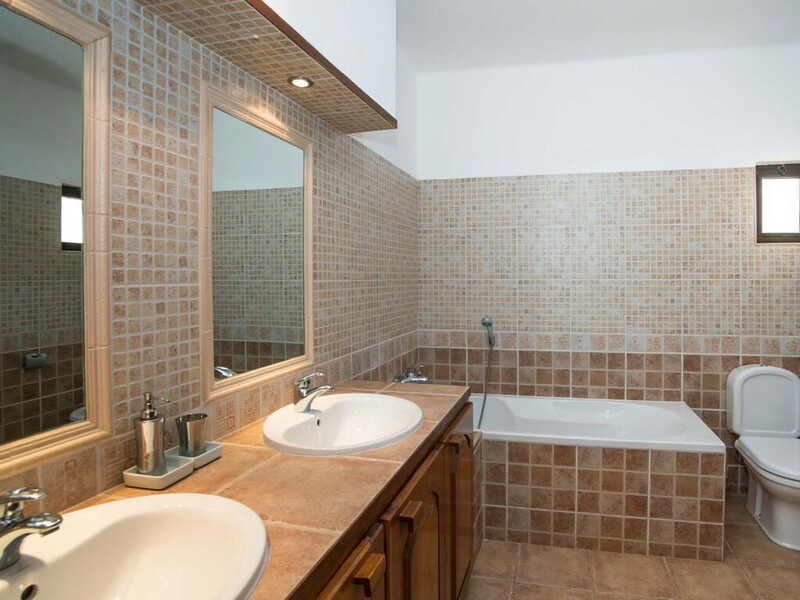 Cleaning per week: End cleaning is included. 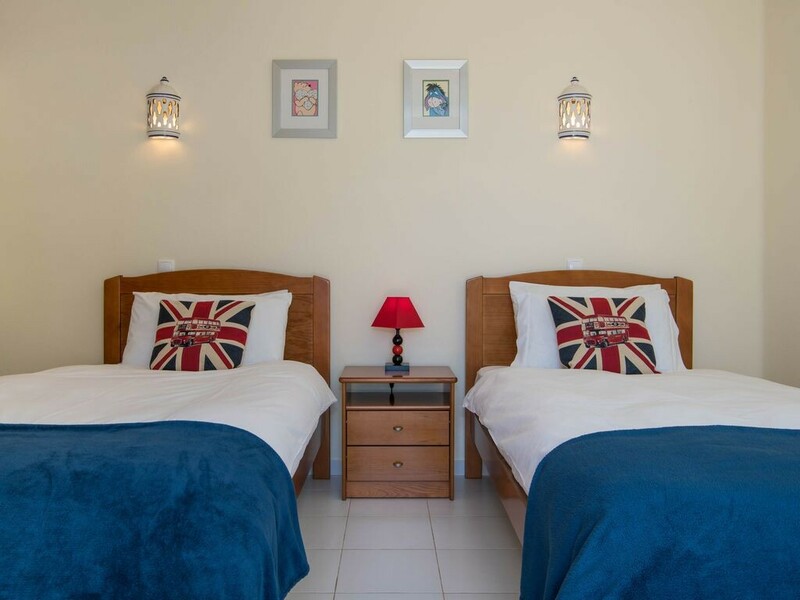 When staying 10 nights or longer, there will be a mid clean which is included. 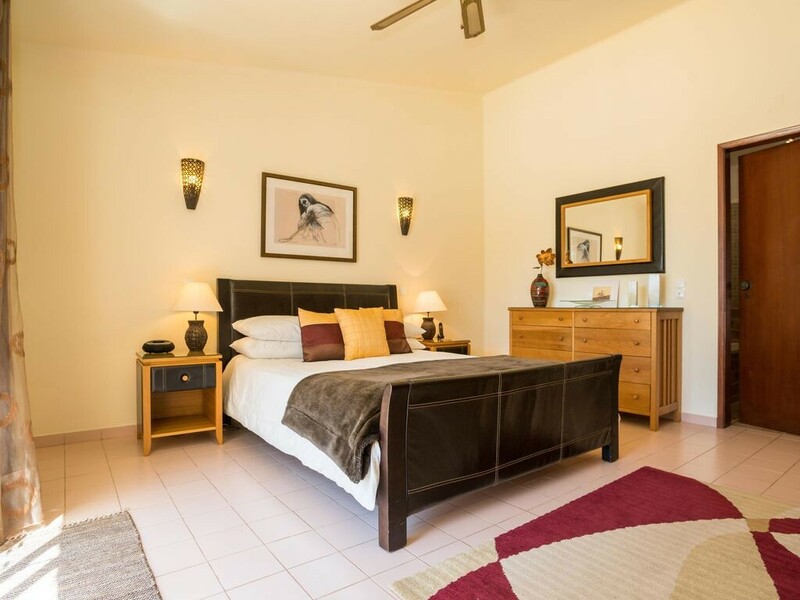 The master bedroom has a king sized bed and en-suite bathroom with double vanity unit, bath and separate shower. 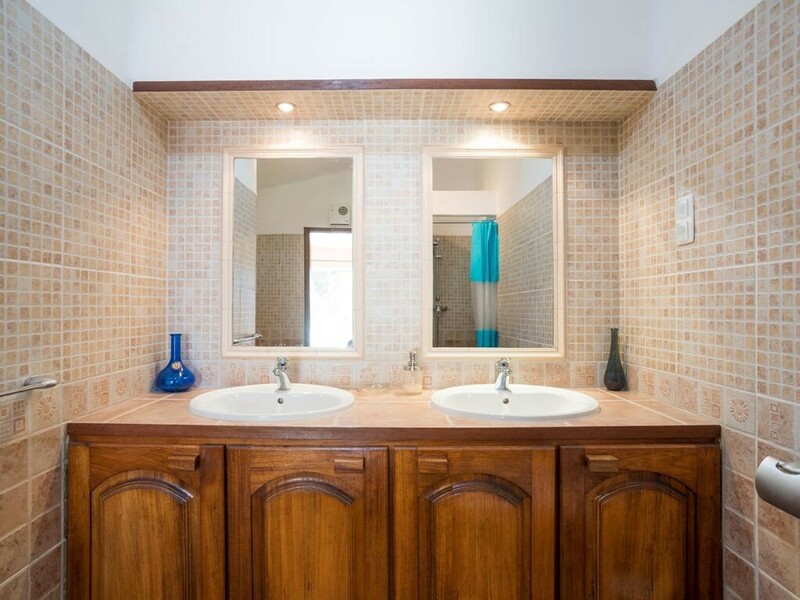 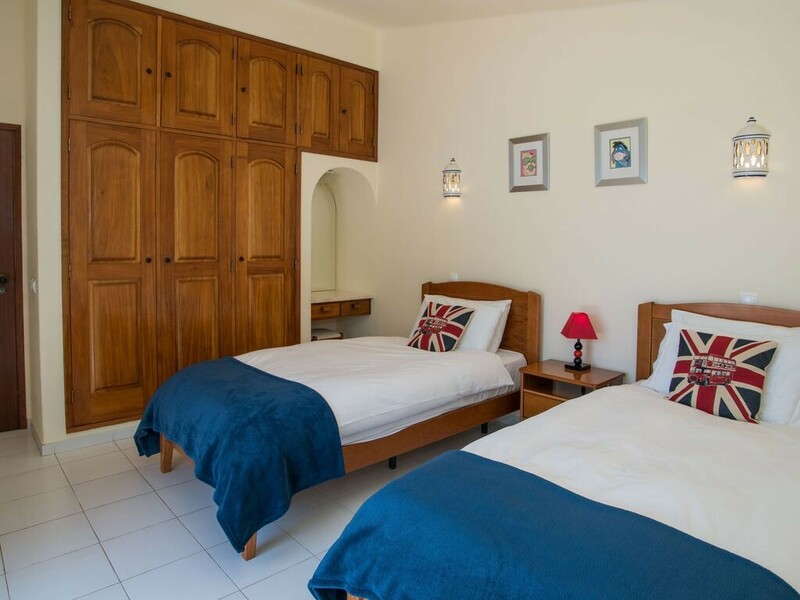 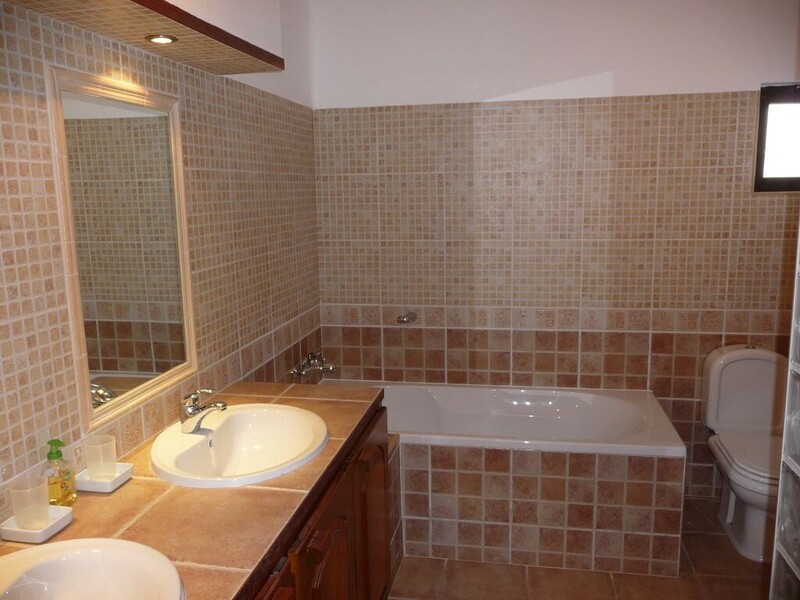 The second double and twin room share a bathroom also with double vanity unit, bath and separate shower. 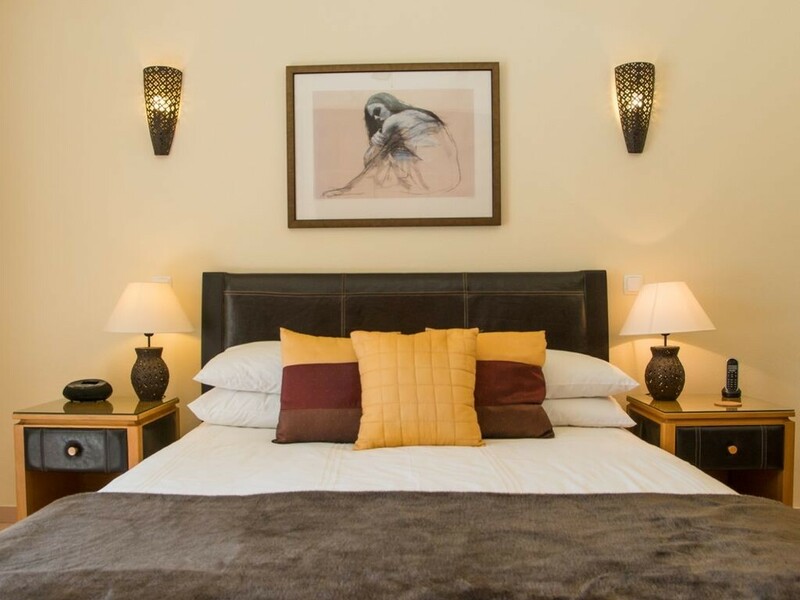 Ipod docking stations in master and double bedrooms. 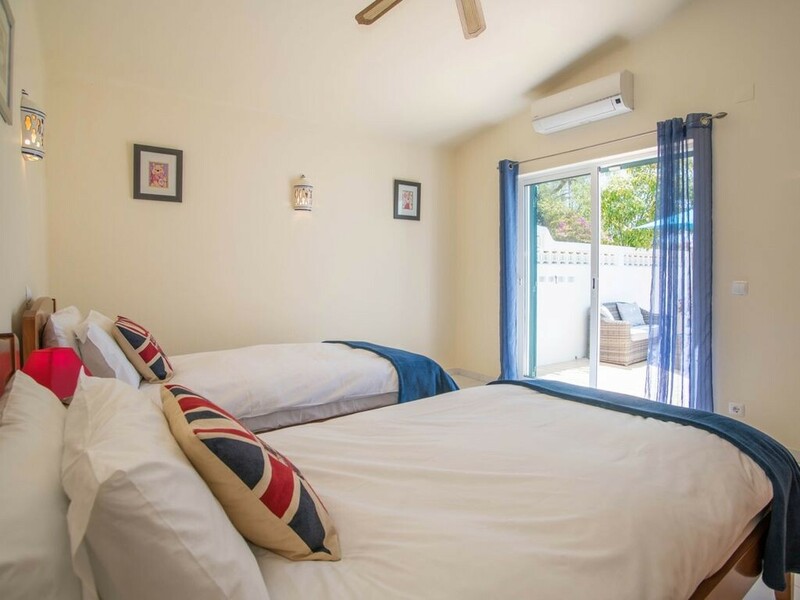 All bedrooms are equipped with air conditioning. 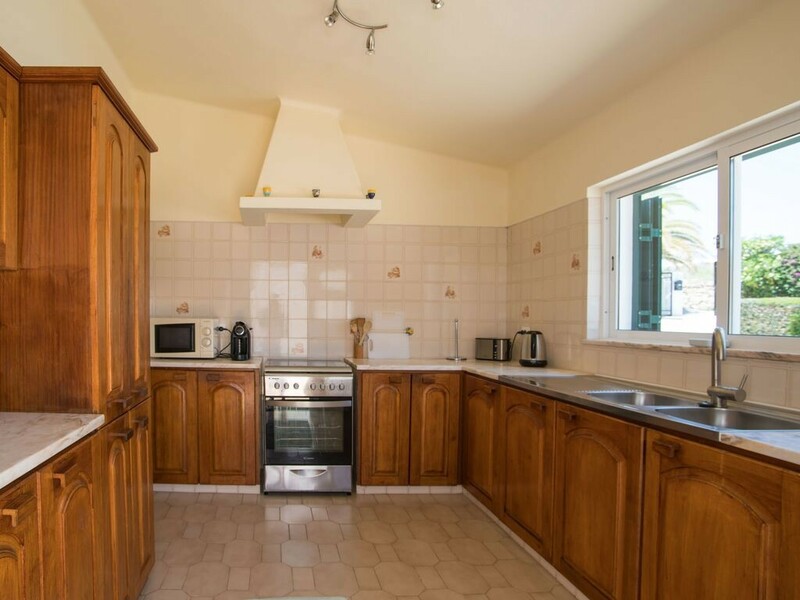 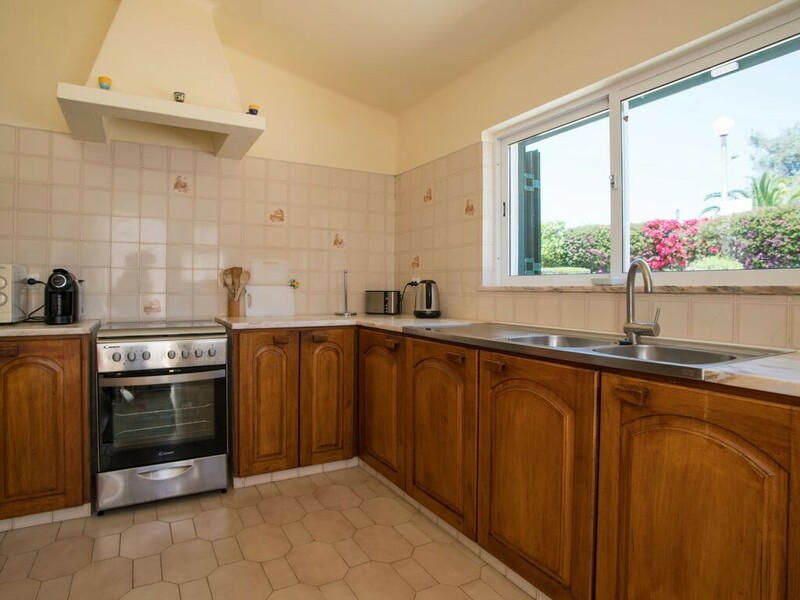 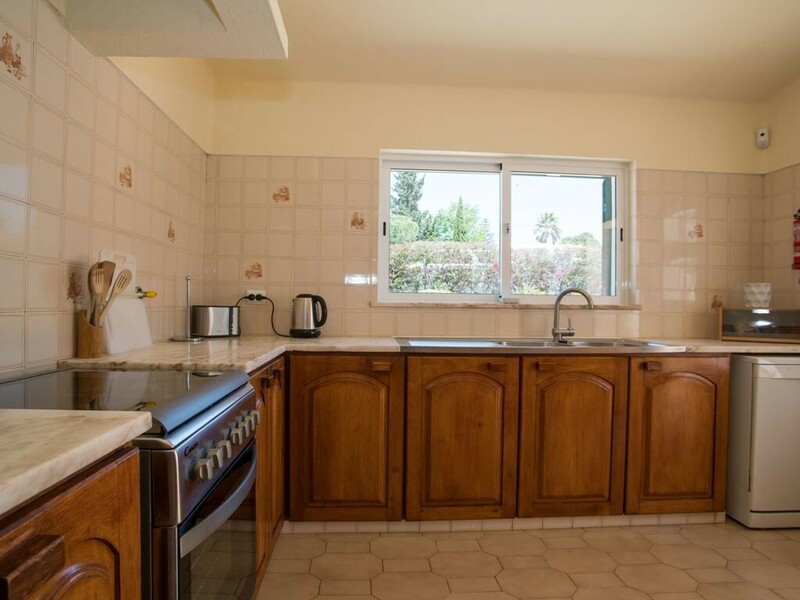 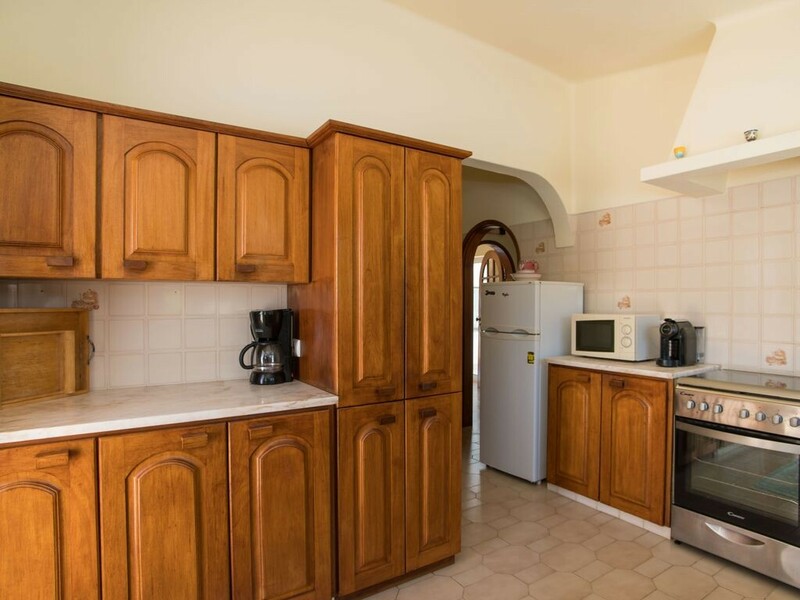 There is a separate well equipped kitchen with oven, hob, dish washer, fridge/freezer, toaster, microwave Filter and Delta coffee makers. 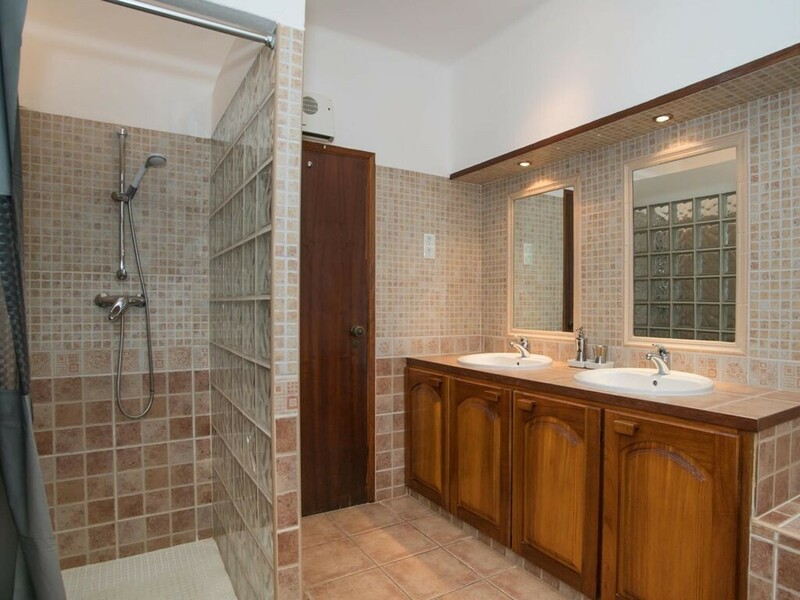 Washing machine is available in laundry area. 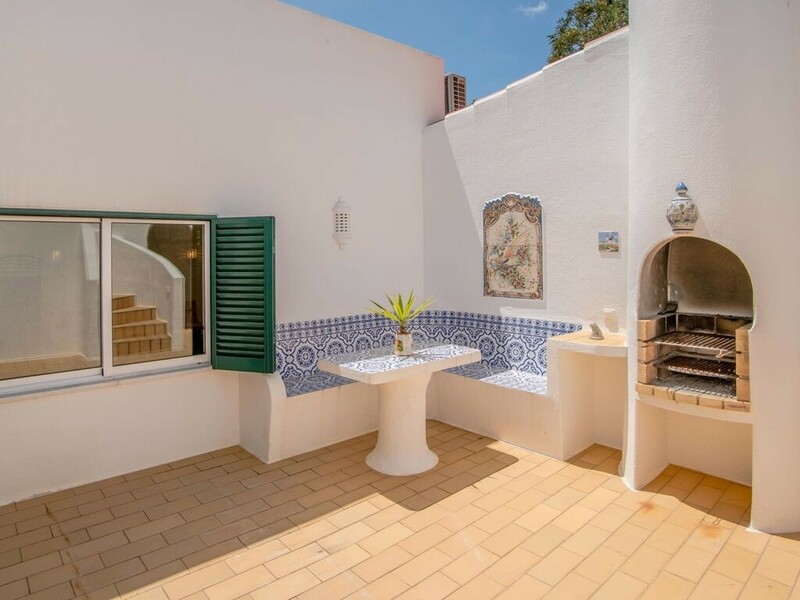 There are 2 barbeque areas, one by pool and one in inner courtyard leading to roof terrace. 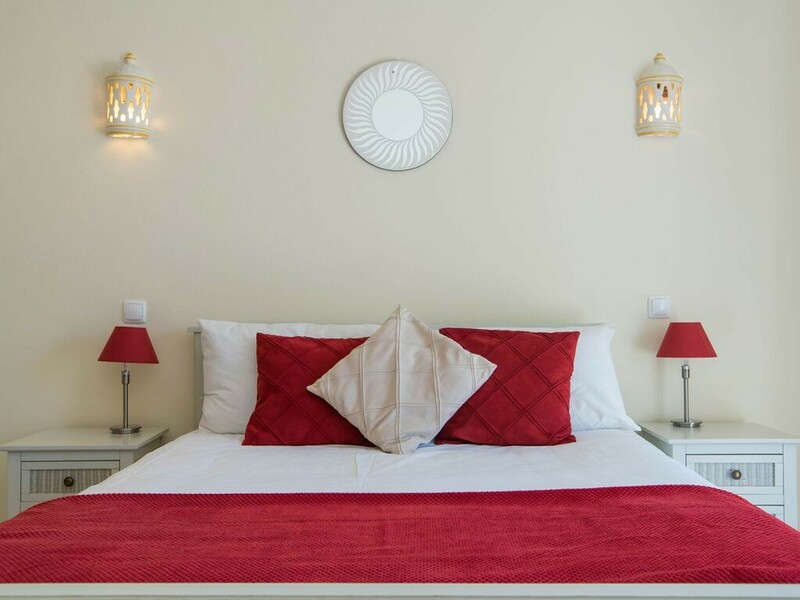 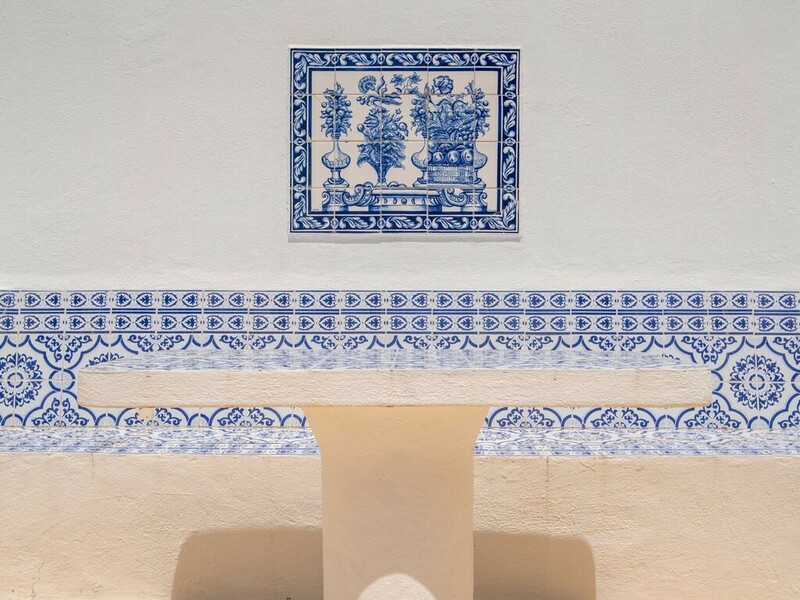 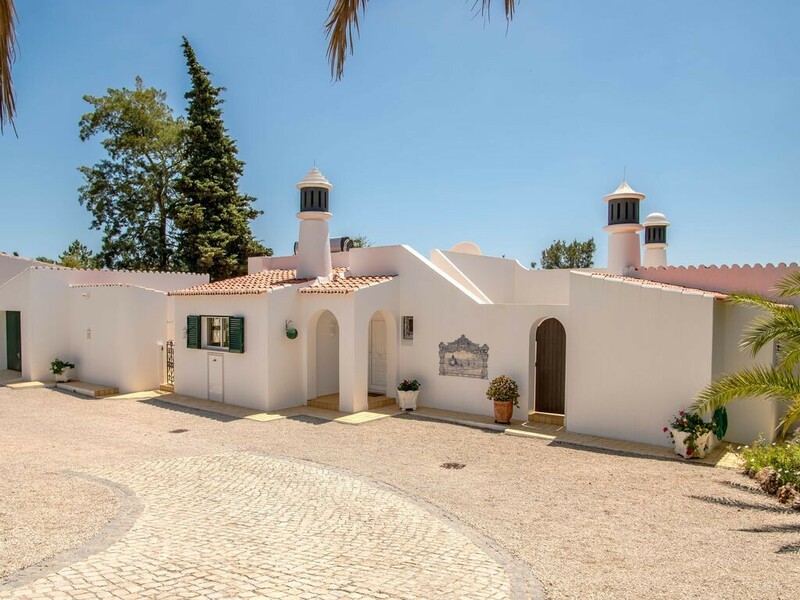 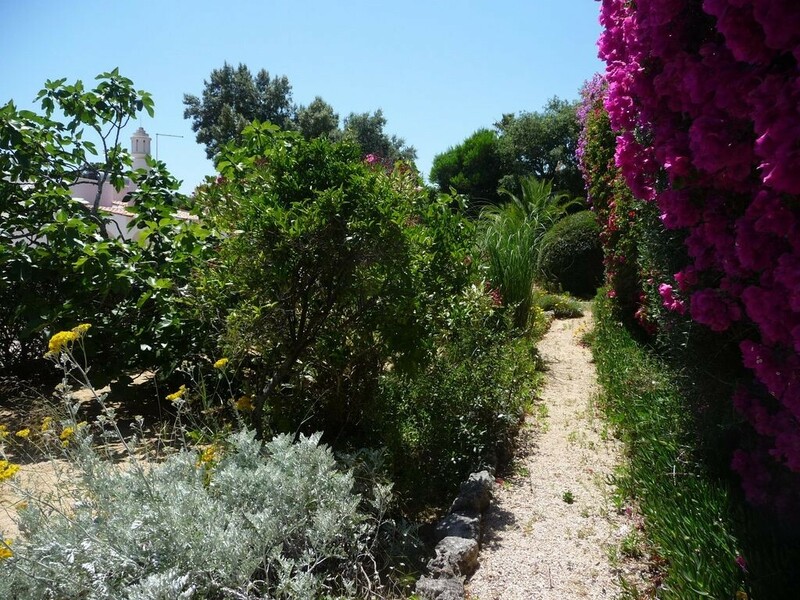 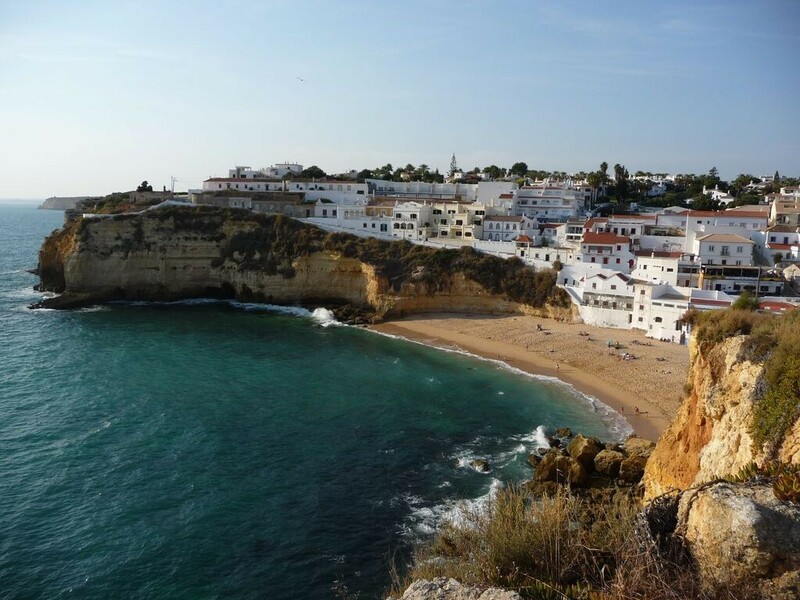 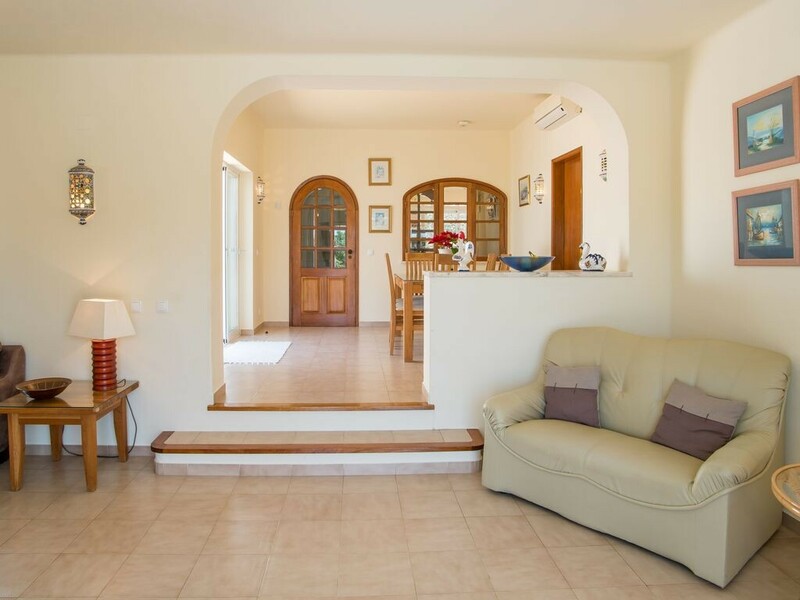 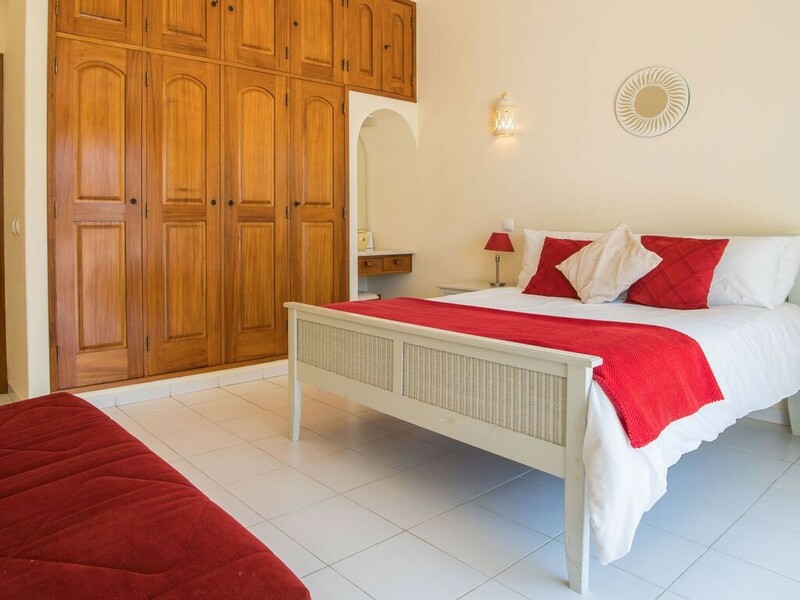 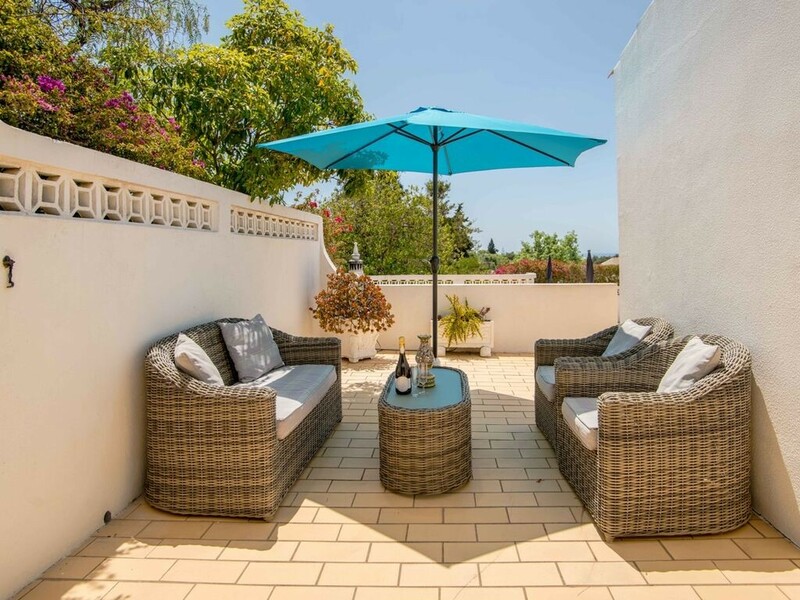 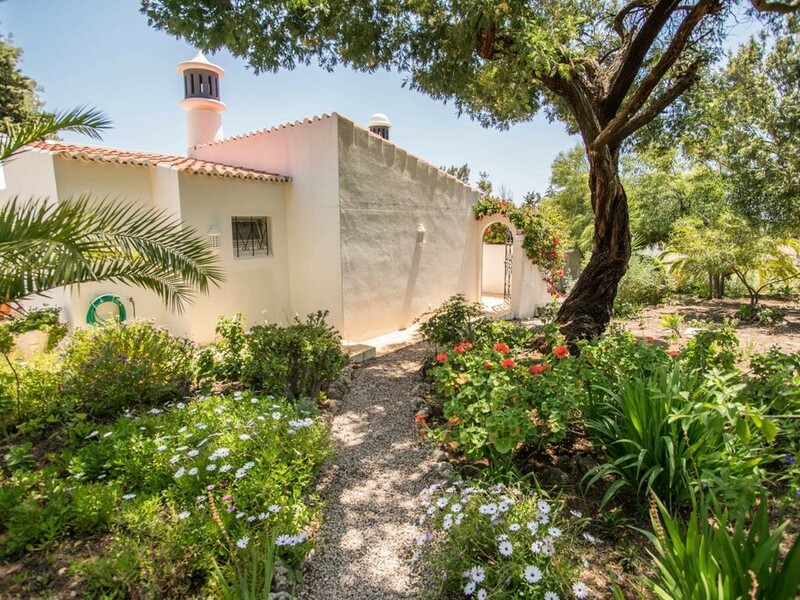 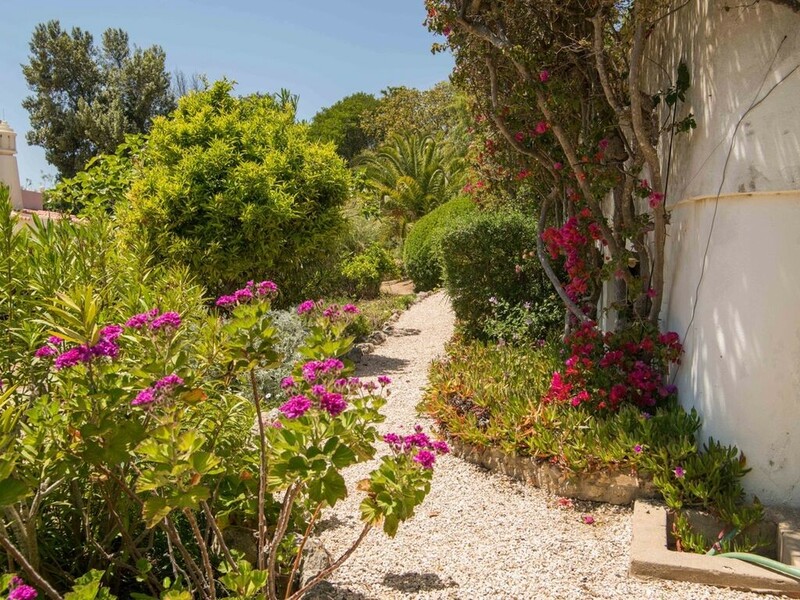 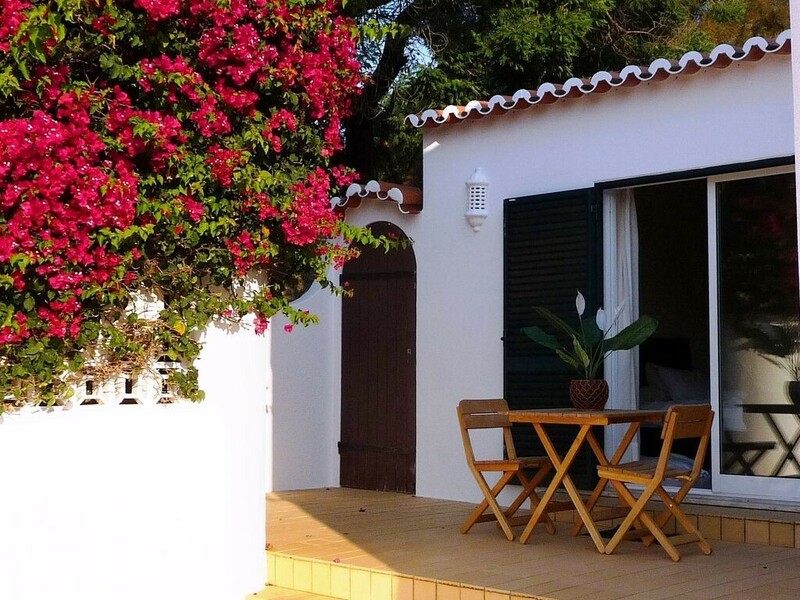 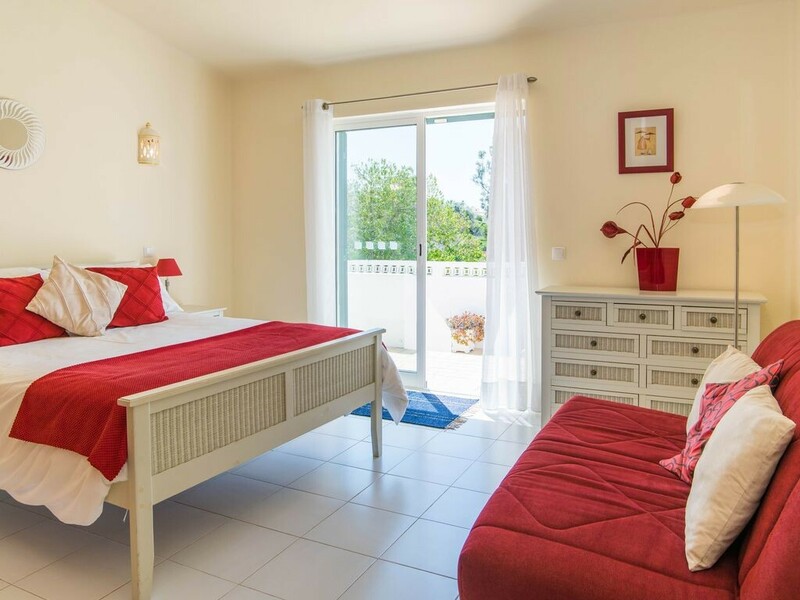 Casa Linda is conveniently located within 3-15 minutes drive of some of the most beautiful beaches and coves in the Algarve, including Centiannes,Caneiros, Algar Seco, Praia Grande and Marinha beach. 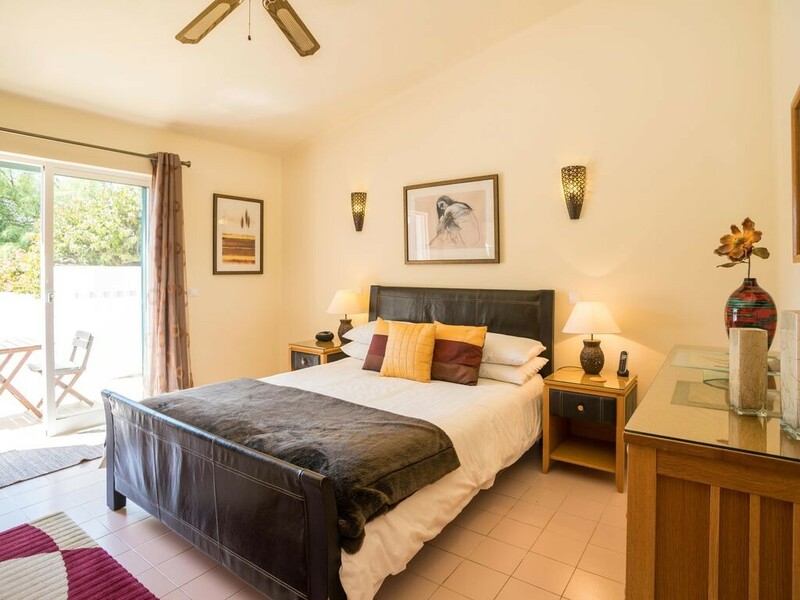 For families, there are many activities to enjoy, 2 Water Parks, Slide and Splash, and Aqualand, Crazy World (mini-golf / zoo) and the Zoomarine Sea Life centre with rides and live shows, where you can also swim with the dolphins. 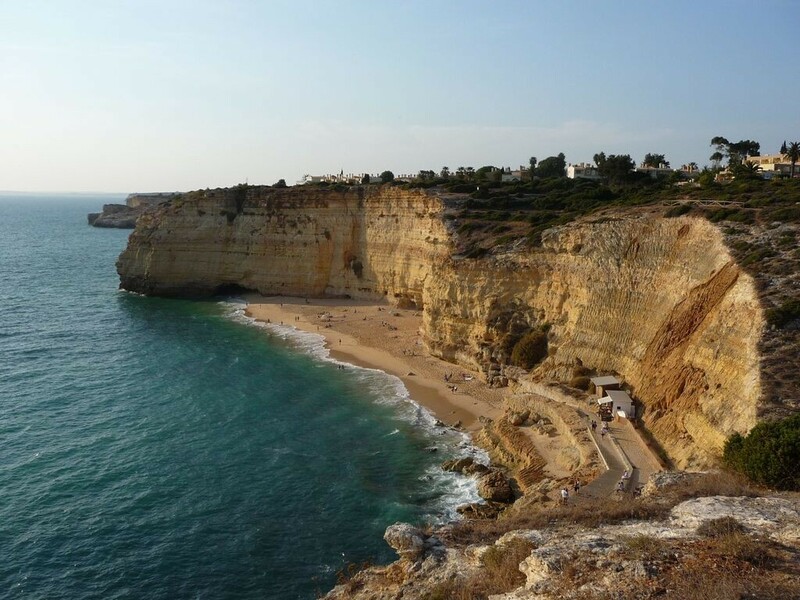 There are boat trips taking in the caves and the spectacular coastline, or you can drive to the castle at Silves, the mountains of Monchique, or head for the West Coast with its Atlantic rollers. 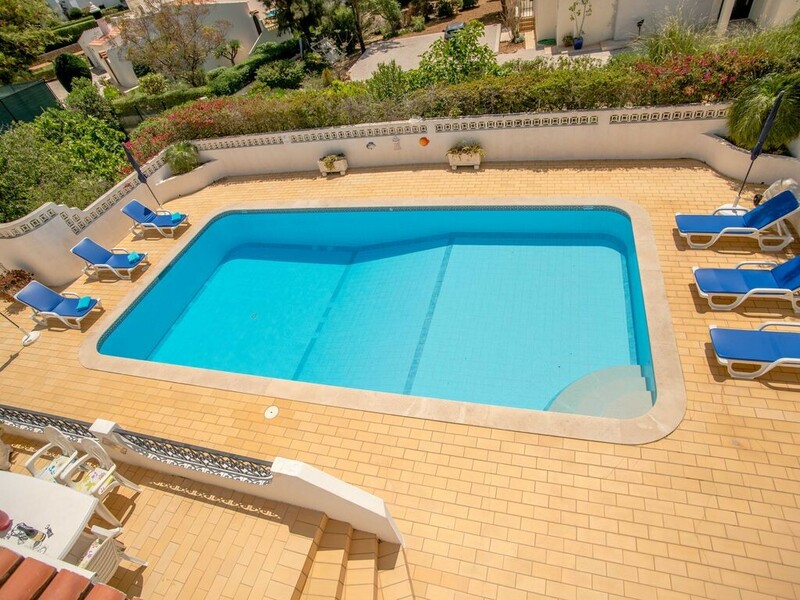 There is also great shopping in Guia or Portimao,or you may just want to lounge by the pool and unwind. 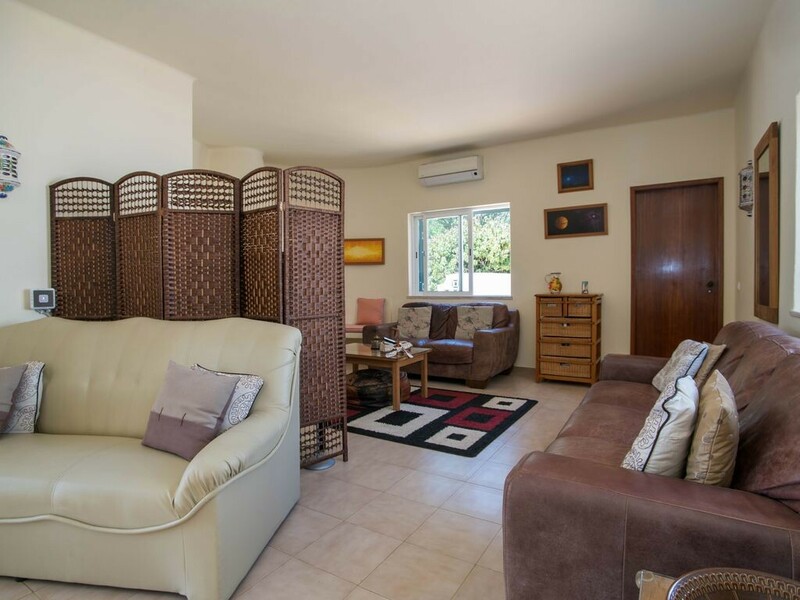 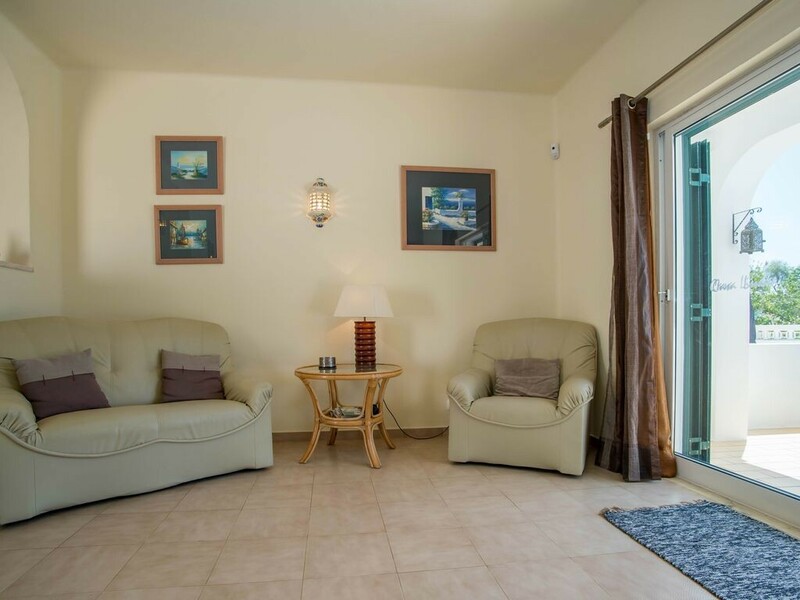 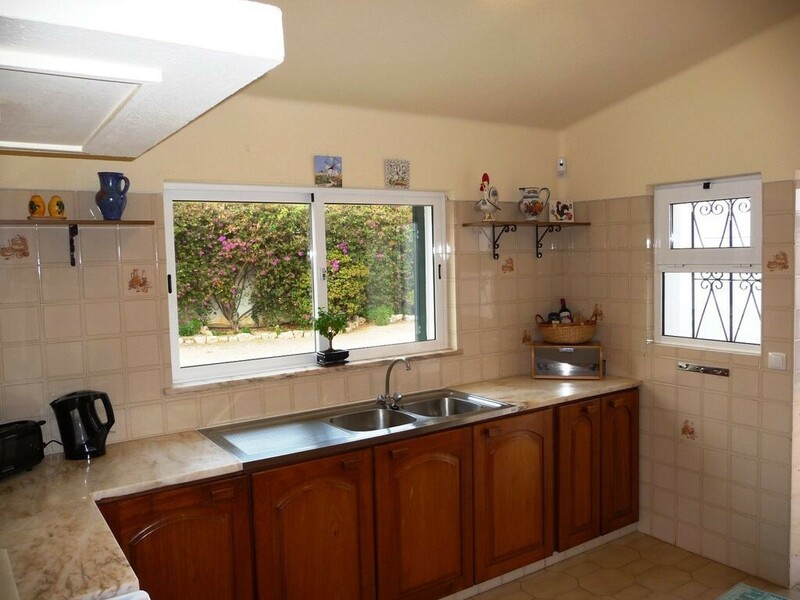 The villa is fully air conditioned and it is included in rental price. 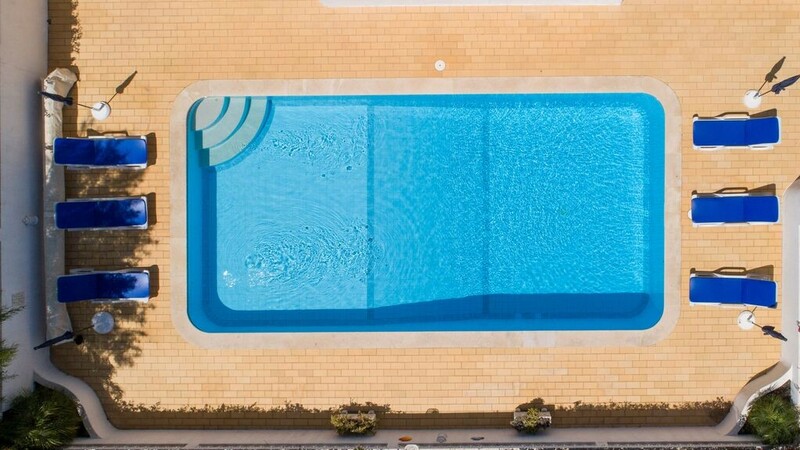 The pool can be heated on request at extra cost. 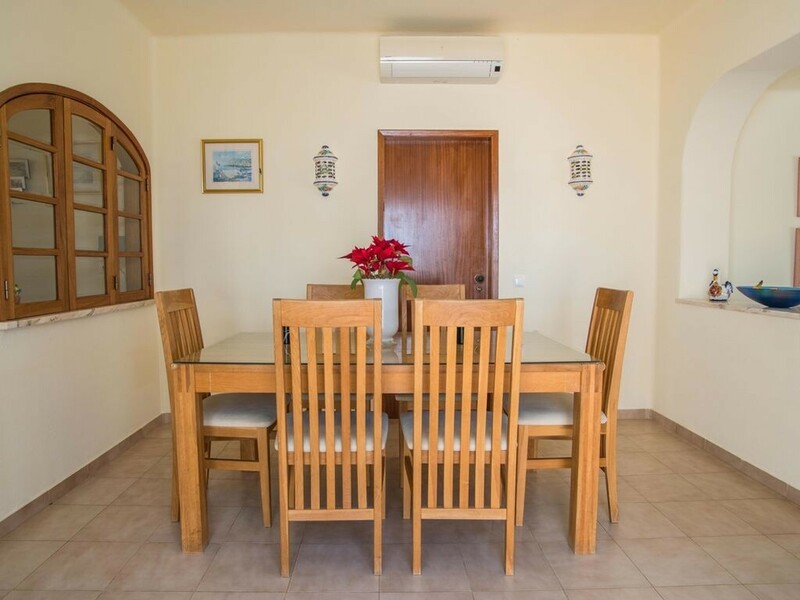 There are a baby cot and high chair in the villa. 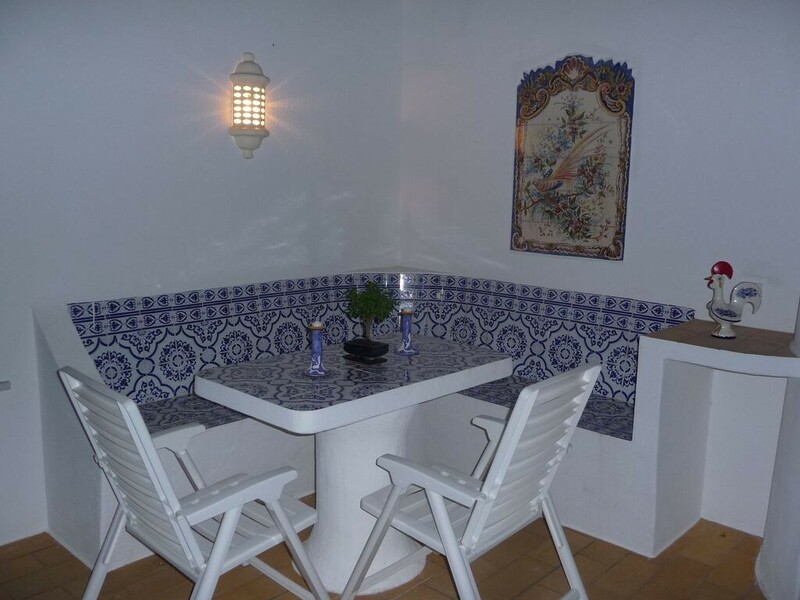 - Cot and high chair can be arranged free of charge.